Twin, or “single”, mattresses are ideal for kids’ bedrooms, or rooms with bunk beds or day beds. Twin XL mattresses are the same width as a standard Twin mattress but are longer in length. Full, or “double”, mattresses are great for your child’s room since the extra width compared to a twin mattress means your child will have more room to stretch as he/she grows. Also, a great size for guest bedrooms. A queen mattress measures approximately 60″ x 80″ and is the most common size selected. King mattresses are a great solution for the master bedroom, as the extra room can create a more luxurious sleep experience. 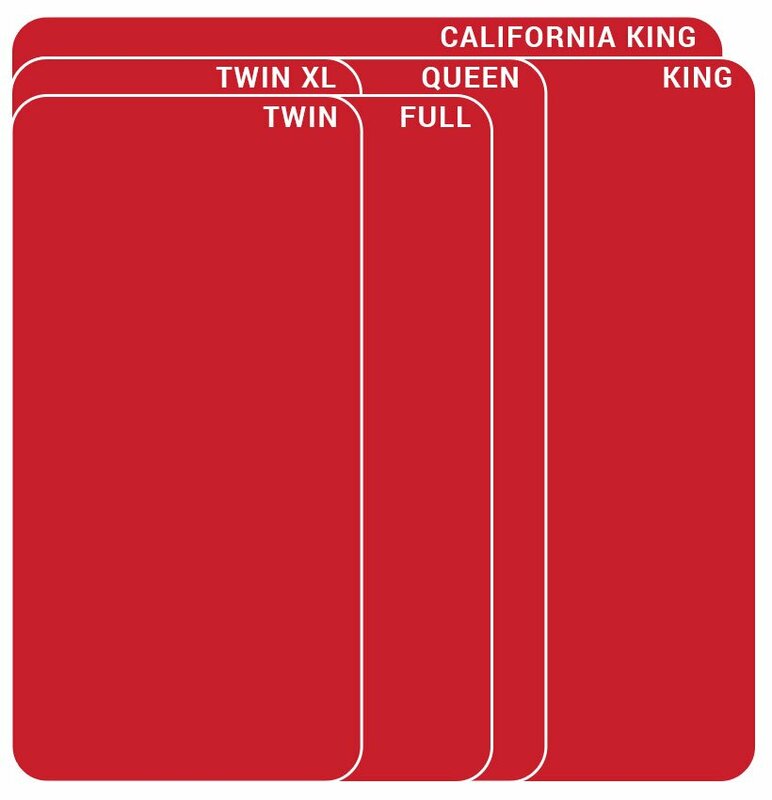 The Cal King mattress is longer in length but shorter in width than the standard King mattress.